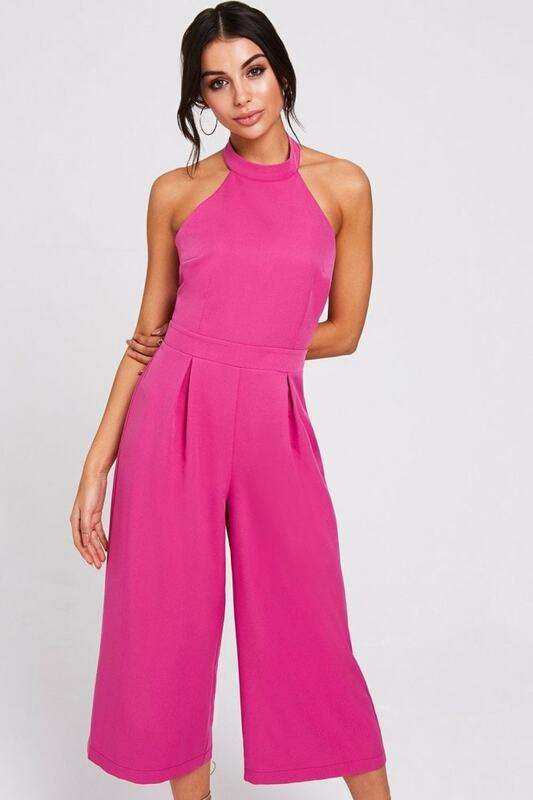 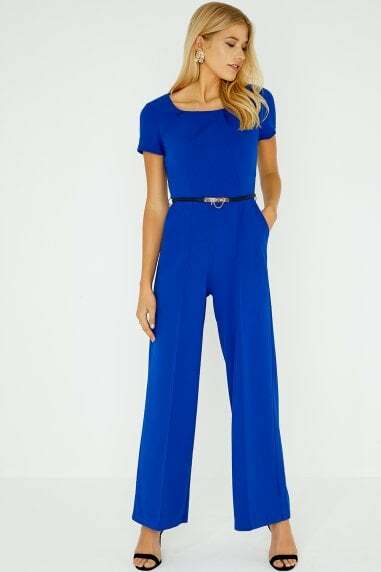 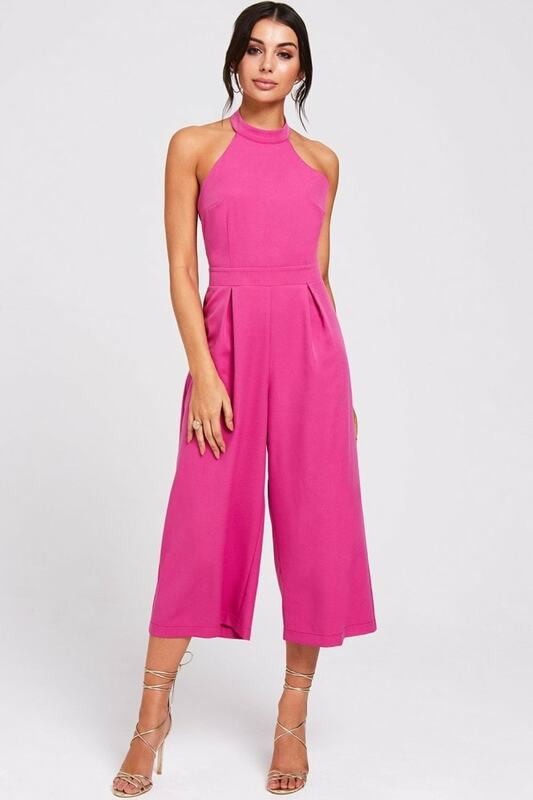 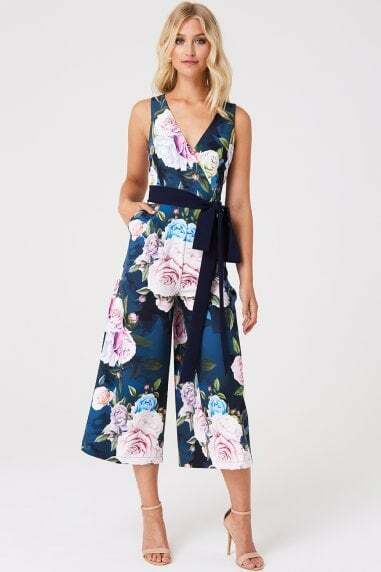 Block colour halter neck jumpsuit with calf-length culotte trousers. 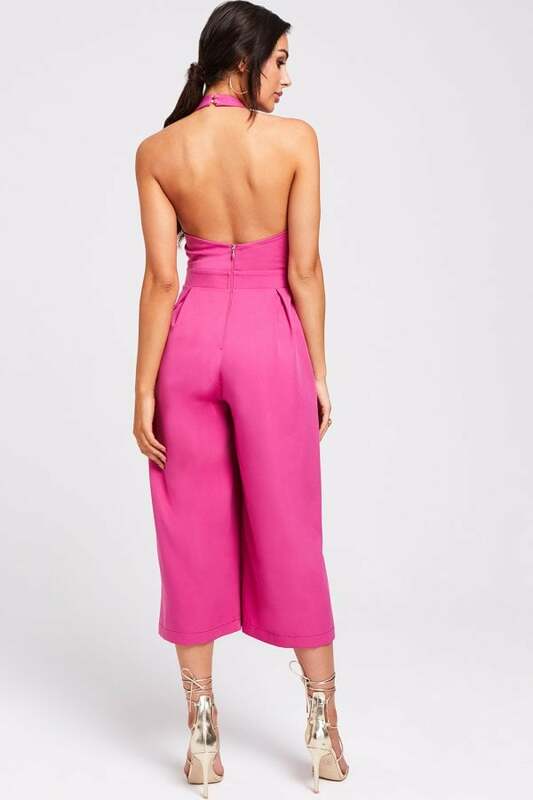 Fitted bodice and open back. Zip fastening.